This Family Fun Ride is a perfect morning ride for kids and families and youth groups of all ages. Boy Scouts, Girl Scouts and other organized groups can use the ride to complete requirements for cycling badges too! 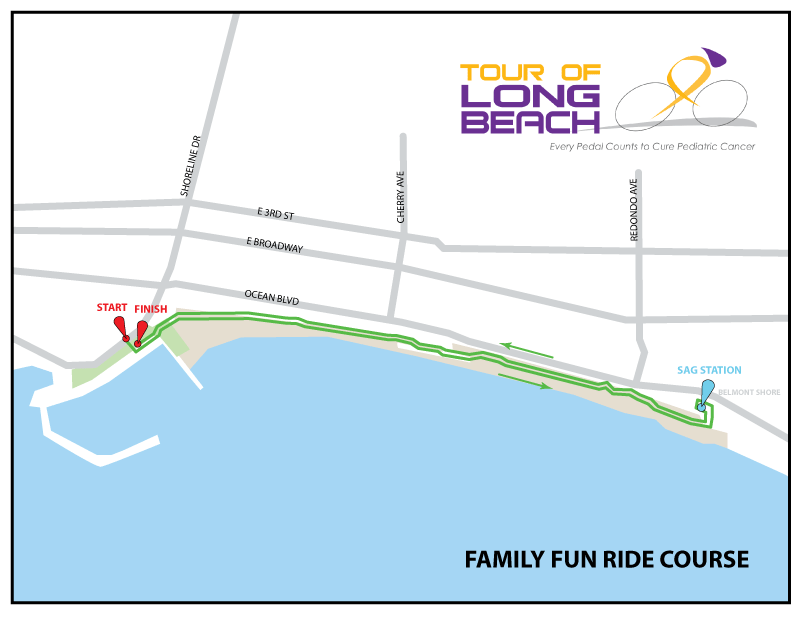 Family Fun riders get a complimentary medal and bib thanks to our Tour of Long Beach sponsors. Event t-shirts and Tour of Long Beach goodie bag items are available for purchase the day of the event. Starting in Downtown Long Beach at the Long Beach Arena, riders will experience all that Long Beach has to offer: Pacific Ocean views, inland bays and waterways, a bustling downtown waterfront, visitor attractions, scenic parks, plus dozens of eclectic neighborhoods, each with its own style and spirit. The route has three SAG stations with medical staff, JAX Bicycle Shop professionals along with food and water. Riders will finish at the Marina Green Park where finisher's medals, food and refreshments are available. Participants receive a goodie bag, event t-shirt, finisher's medal and entry into the Finish Line Festival. 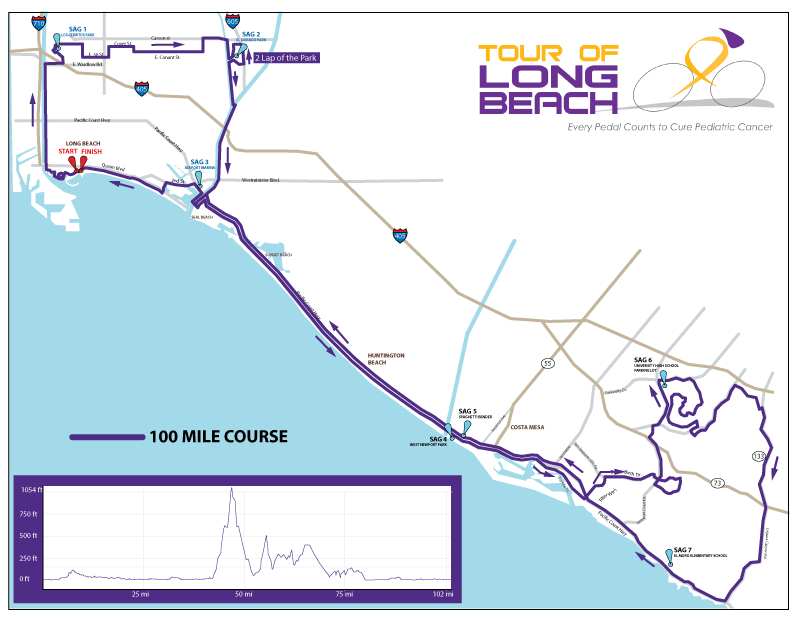 Metric Century riders will first follow the Tour route through Long Beach, then the Metric route will take riders south through Seal Beach, Huntington Beach, Newport Beach and back. Riders will get a taste of what the Cruz Gran Fondo is all about riding along the beach on a beautiful sunny May day. The route has five SAG stations with medical staff, JAX Bicycle Shop professionals along with food and water. Riders will finish at the Marina Green Park where finisher's medals, food and refreshments are available. Participants receive a goodie bag, event t-shirt, finisher's medal and entry into the Finish Line Festival. 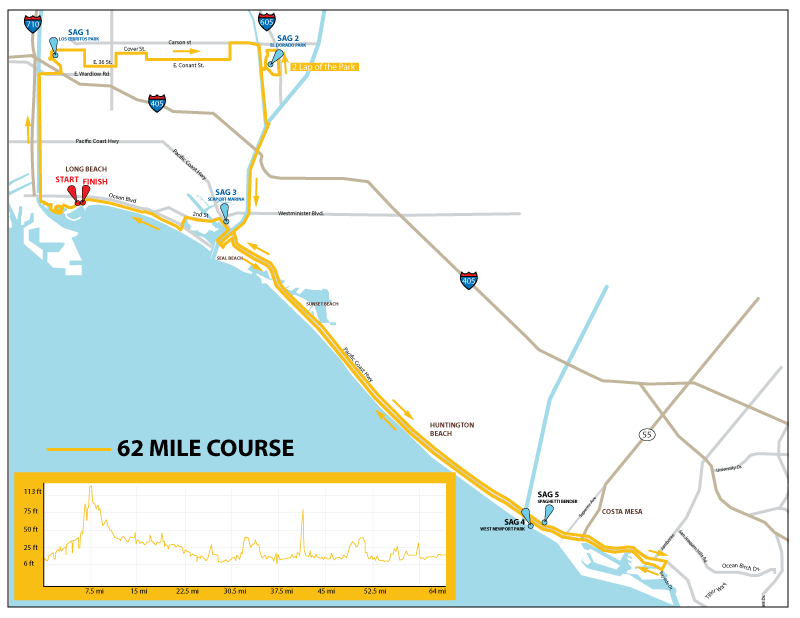 The 100+ mile Cruz Gran Fondo brings Italian cycling culture to Southern California. 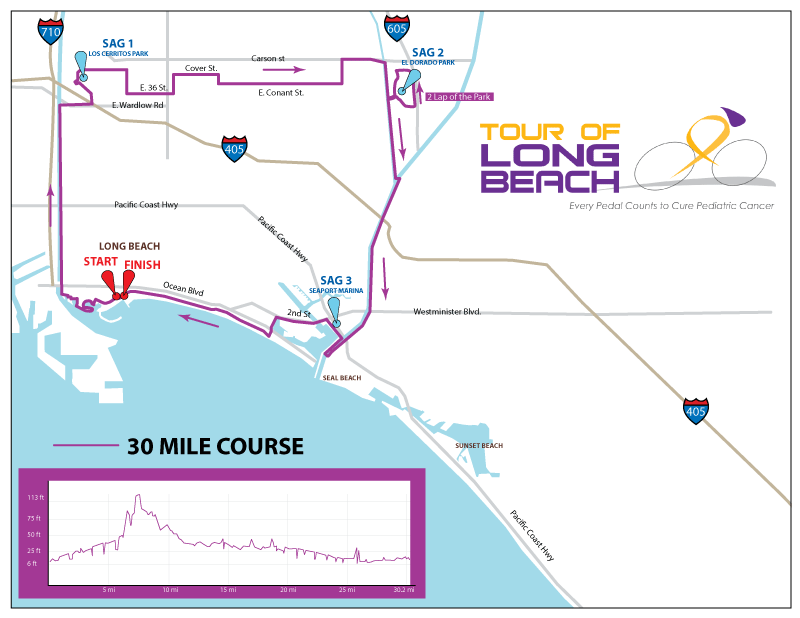 The course will take cyclists along the Tour route then down Pacific Coast Highway through Huntington Beach, Newport Beach, Irvine, and Laguna Beach before returning. Professional Cyclist Tony Cruz will be leading the ride along with members of Long Beach's Lightening Velo Cycling Team. Riders will finish at the Marina Green Park where finisher's medals, food and refreshments are available. Participants receive a goodie bag, event t-shirt, finisher's medal and entry into the Finish Line Festival. All abilities are welcome. Some cyclists enter for the challenge and satisfaction of making it to the finish line and others want to push themselves and their friends. Regardless, every Gran Fondo event is an unforgettable cycling experience!